Rich and Robust to Refreshing and Floral. Each oil is unique in it's complexity and has a truly wonderful aroma. Our Solar Plexus blend is created with Patchouli, Lavender and Basil. 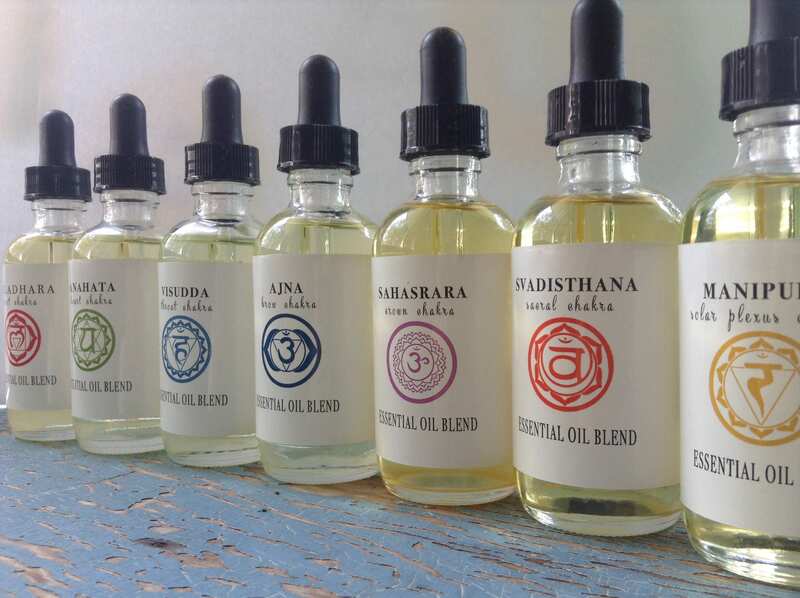 Crafted with love and Reiki energy, each of our Chakra oils are a blend of therapeutic grade Essential Oils and Precious Absolutes which directly correspond with each Chakra. Blend our pure oil at a rate of 2-3% in a carrier oil of your choice and apply one-two drops to your chakra and massage. 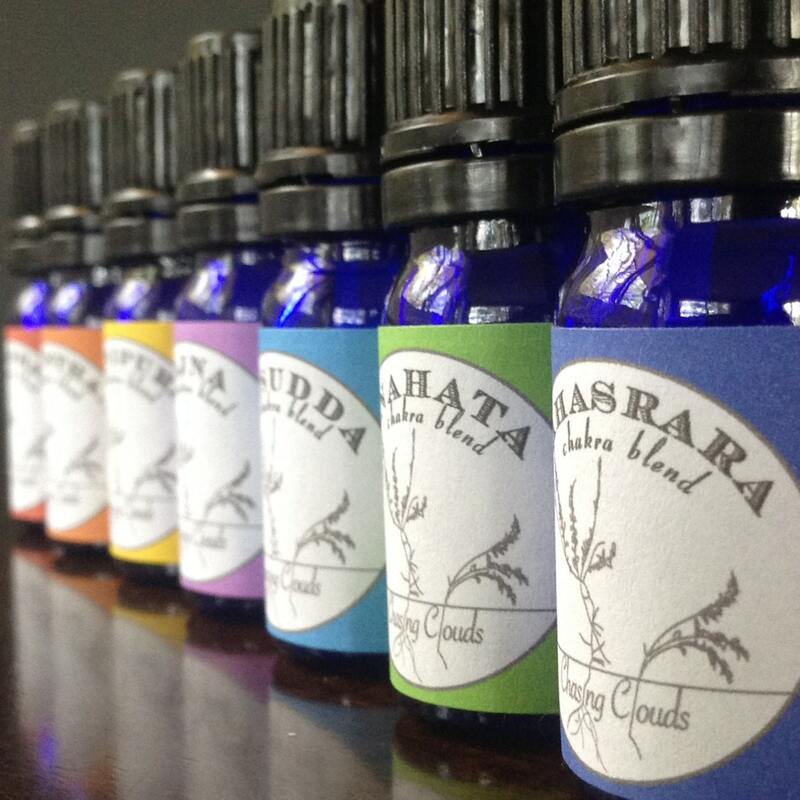 Use undiluted during your meditations in a diffuser. 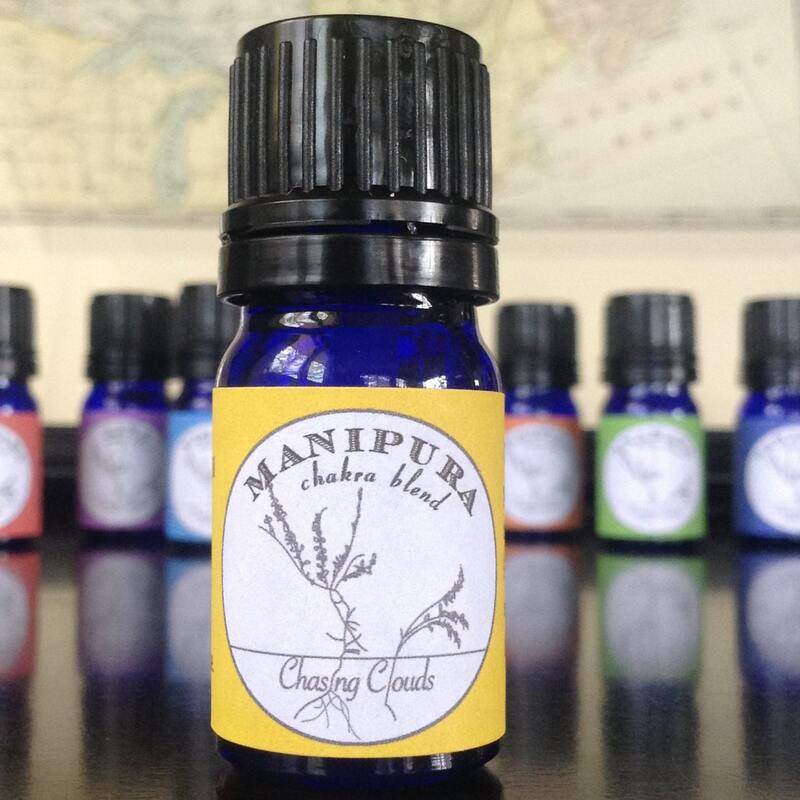 We also offer our chakra oils in almond oil - ready for use as a perfume to remind you of your practice throughout the day. Or before your practice to stimulate the corresponding chakra energy. Considered the most important of all, especially when dealing with healing work. Governs stability and being grounded. It is situated at the base of the spine in the lumbar region. The centre for our sexuality and creativity. It is located approximetely 5cm below your belly button. Located beneath your breastbone and behind your stomach, governs your emotions and self-respect. Situated at the level of your heart, this chakra governs love and compassion. Located at the neck and is the centre of communication through thought, speech and writing. Centred upon intuition and intellect, it is located just above your eyebrows. The centre of enlightenment and spirituality. It is found at the crown of your head.